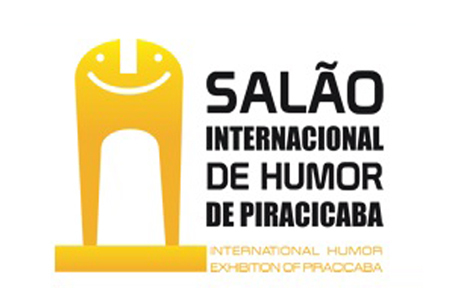 The 44th lnternational Humor Exhibition of Piracicaba 2017, Brazil.. Important: The work submied must be accompanied by the registraon form, duly completed and signed by the author..
Selecon Jury: July 29 and 30. Professional and amateur arsts, Brazilians and foreigners can apply unpublished artworks that were not awarded unl the closing date for entries. The works - all categories - can be sent by MAlL or ELECTRONIC. Each arst may enter a maximum of 03 works per category: CARTOON (graphic humor with universal and meless themes), CHARGE (graphic humor with journalisc themes of now a days), CARICATURE (graphic humor that expresses the physical and/or personality of a known celebrity), COMIC STRIPS / COMIC STORIES (graphic art in sequence. 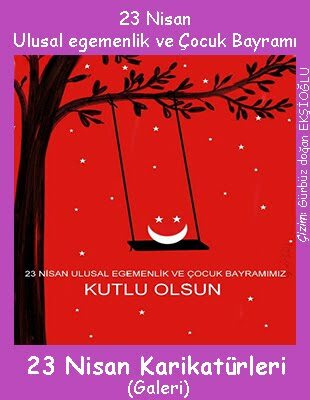 Cauon: for comic stories will be accepted a maximum of 02 pages per work) and Theme CHILDREN (only for works that address the theme CHILDREN, proposed by the organizaon). The child who already exercises his cizenship; The child and their children to adults; Children's dreams; Children vicms of war; The exploitaon of child labor; The child as the joy of the world; The child and his toys and games - are some approaches to be explored. in the CEDHU's data base. The work submied must be accompanied by the registraon form, duly completed and signed by the author. Uploaded files should be named as follows: arst name_country_number. Example: paulosilva_brazil_01 - accompanied by the registraon form duly completed and signed by the author. c) One prize called Popular Jury "Alceu Marozi Righeo", in the value of R$ 5.000,00 (five thousand reais),chosen by online open vong. The contestants to this award will be selected by the Awarding Commiee. The indicated, such as the schedule and the local for the vong will be announced on the event's opening. Besides the monetary value, the winning authors will receive trophies (creaon of Zélio Alves Pinto). Other prizes and menons may be established, at the discreon of the Organizing Commiee and Award Commiee. There will be a selecon commiee and another award commiee with recognized and trained professionals. without the knowledge of the juries. If fraud or plagiarism is found in any award-winning work, the prize awarded will be canceled. The values corresponding to the cash prizes will only be deposited in the name of the winners obeying the legislaon established by the Municipality of Piracicaba responsible for the realizaon of the Internaonal Salon of Humor of Piracicaba. Authors of countries that face economic embargoes of any kind with Brazil and that make impossible the transfer of the monetary values of possible awards can only compete for nominaons of honorary prizes. arts are sent or returned. and gratuitous, the rights of the author, guaranteed by the menoned law; referring to the awarded artworks in the lnternaonal Humor Exhibion of Piracicaba and now integrant part of Municipal Public Property for the purposes of entlements, in accordance with the Municipal Law n 2249,1976, parally amended by the Municipal Law n 2486-1982 and consolidated by the Municipal Law n 5194-2002.